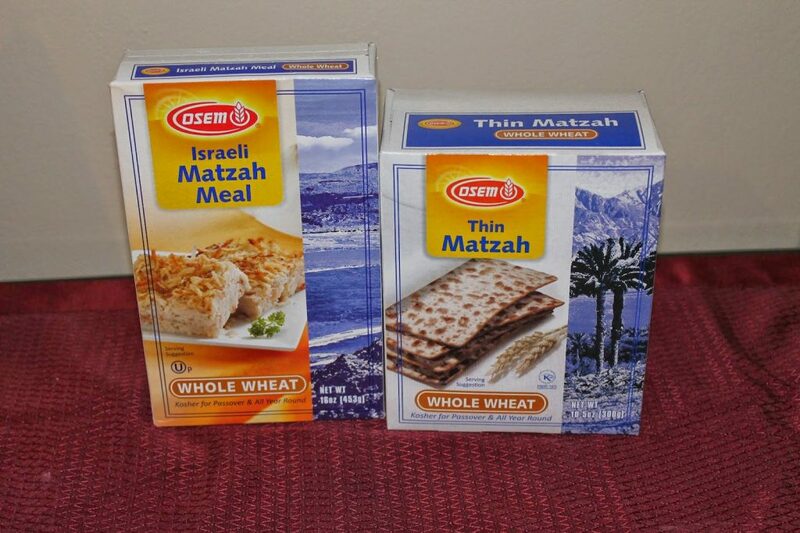 Healthier Matzah Brei Plus Osem Passover Products Review - No Way That's Healthy! Osem USA recently contacted me to try some of their new Passover products. As always, I only like to review healthier products so when I opened the package I was pleased to see both whole wheat matzah and whole wheat matza meal. So many things to make came to mind. I chose to stick to something that so many households make over Pesach. 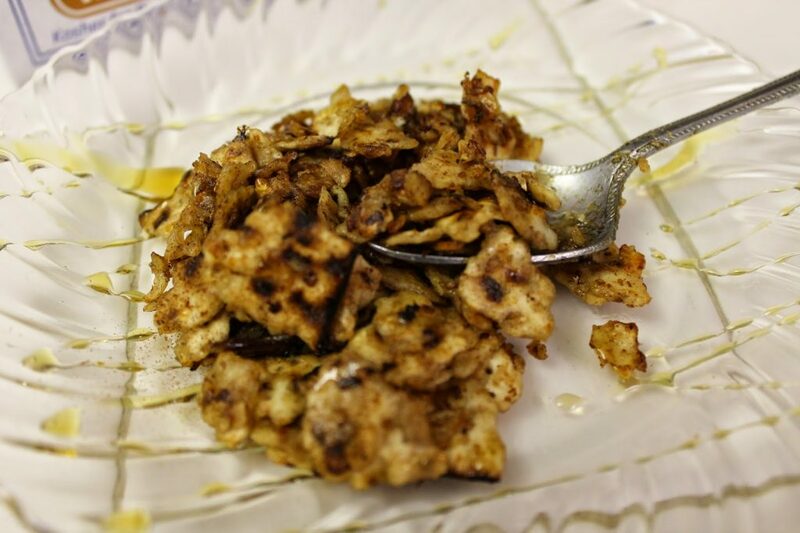 That is- Matzah Brei. I healthified it to make it a little better than the usual recipe while still keeping the great taste. 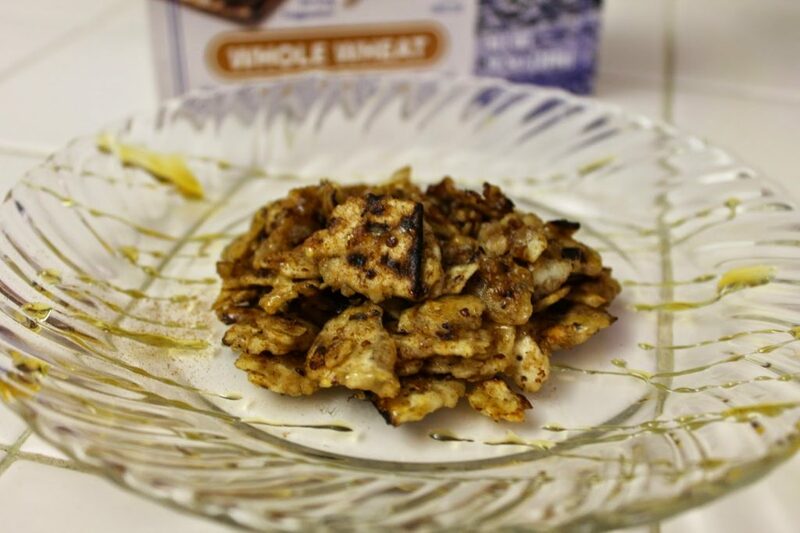 I really enjoyed this whole wheat matzah, I didn’t realize a very different taste from the regular and plan to try more recipes using it! Osem USA also has products like regular matzah, egg matzah, gluten free passover cakes, matza ball mix and my favorite- chocolate covered matzah. It’s hard to stop, it’s so good! To find out more about what Osem USA has to offer, check out their facebook page HERE. Start off by putting the sheet of matzah under the water for a second. Then break apart the matzah into small pieces being careful you do not over work it or it will become mushy. Pour a little bit more water over the top and then strain it out so the matzah is now moistened but no longer soaking in the water. Add to the matzah the egg white, honey, and cinnamon. Spray a frying pan with a coating of cooking spray. Heat on medium heat and then pour the matzah mixture into the pan. Cook till the bottom sets a bit and stir so the rest of the matzah gets cooked. Spray on a little more oil and keep cooking till the outside starts to get a bit brown and crispy being careful to mix it with a light hand so each piece gets cooked. Once it starts to look dry and crispy, about 5 minutes, remove from the pan. Be sure to drizzle with a little more honey and sprinkle with a dash more of cinnamon. *When making more servings, do the same as above per serving, but feel free to use less honey. Just don’t forget to drizzle with more before serving for a great sweet taste! *Osem USA sent me the products to try. All opinions are my own.